Mark Runnels and Mark Smith founded Predator Impact, LLC in the spring of 2018. Mark Runnels brings 30 years of business management. 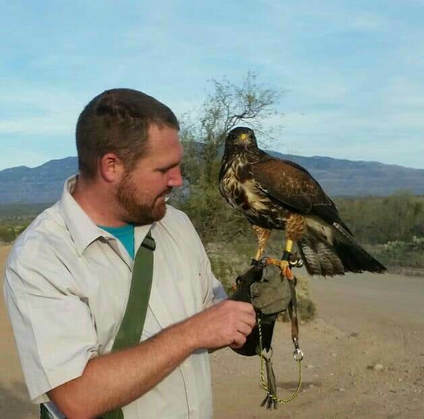 Mark Smith brings a decade of knowledge of raptor-based bird abatement. They make a great combination. J. Mark Runnels is the Managing Partner of Predator Impact. LLC. Mark is 58 years old. He has been married to Ann Runnels for over 30 years and they have three children: Cole( 28), Aaron (24), and Janae (19). Mark is a Mechanical Engineer by training, and a manager with Siemens Corp, but his real love is falconry. He is a Master Falconer with over 30 years of experience. 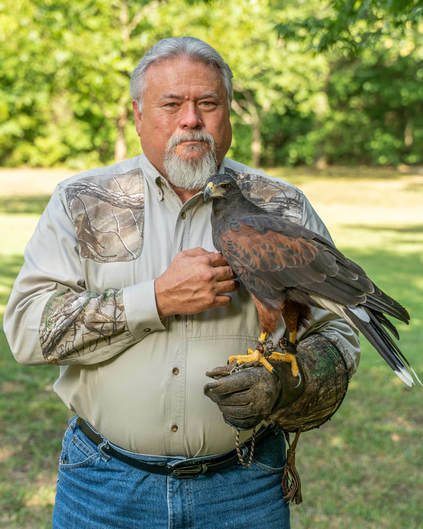 Mark has flown a wide variety of hawks, eagles, and falcons over the years, but his favorite is the Harris' hawk. Mark Smith is the Operating Partner of Predator Impact, LLC. Mark is 30 years old and married to Liana Smith. He is a master falconer and has been a practicing falconer for over 10 years. He started in the abatement business before he even earned his own falconry permit. That was over 10 years ago, and he has been active in falconry and abatement ever since. Mark adds a substantial experience in training and working with both dogs and hawks. Nola is a five year old captive bred female Harris' hawk. She is a very effective hunter and a valuable member of our abatement team. She loves hunting geese and is big enough to handle them with style. Royal is a new addition to the team. 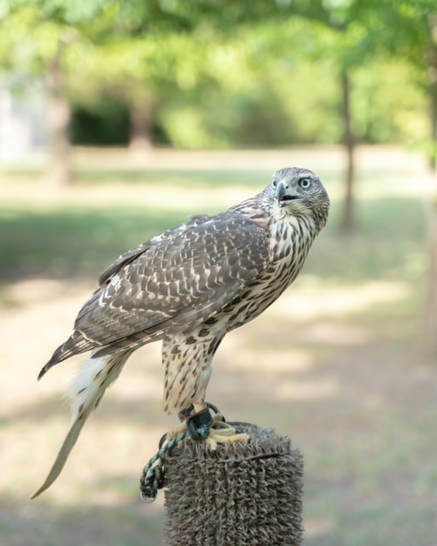 She is a captive bred Finnish Goshawk, and was hatched in May 2018. The Finnish birds are one of the largest and strongest subspecies of goshawk, and she will be very effective at reducing goose populations. 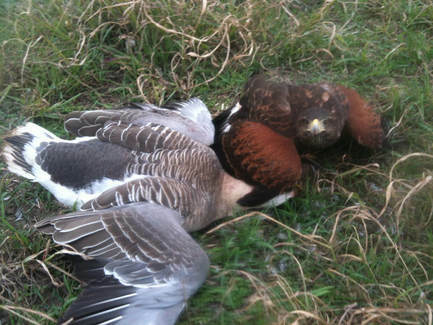 "Goshawk" is a shortened form of "Goose Hawk" and they are very fast and effective hunters, especially of waterfowl. Kimber is the baby of the Harris's Hawks. She is a little over one year old, is captive bred, and is very sweet on the glove, but all business when given a task to do. Bella is a three year old captive bed Harris's Hawk. She isn't nearly as personable as Kimber, but is a very steady and efficient bird. Augustus aka Gus is a captive bred Northern Goshawk. He is 1/2 Finnish and 1/2 North American. He is almost two months old and still learning the ropes but doing very well so far. Carl is a two year old captive bred Harris's Hawk. He is new to the game, but is catching on quick and has become my go-to bird. Kira is a lurcher, and she was born January 2018. Lurchers are common hunting dogs in Europe, but less common in the US. She is a deliberate cross between a Greyhound and an Anatolian shepherd. She is a family pet whose favorite thing to do in life is chase geese. Her second favorite activity is lounging on the floor in the living room chewing on rawhide bones. Get in touch with us today to eliminate your pest problem!